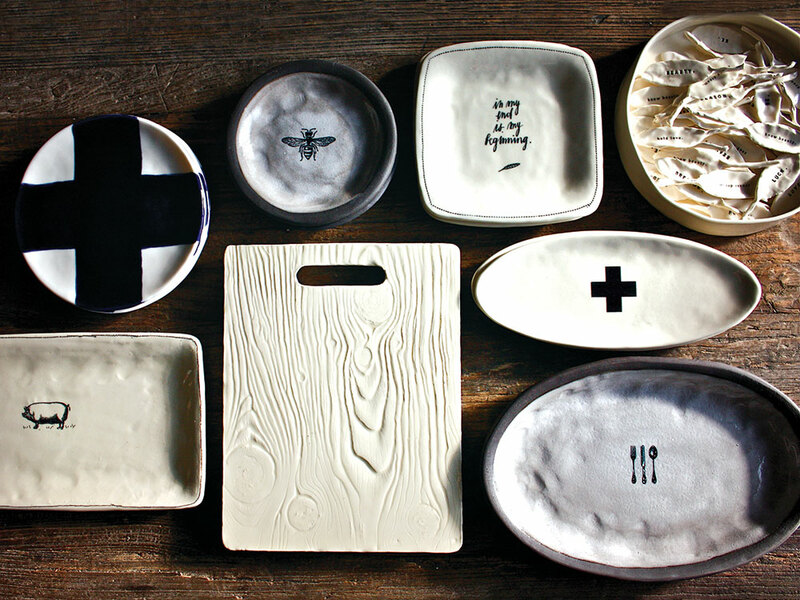 Rae Dunn's quirky ceramics reflect a lifelong love of language and the tactile. If a coin had landed heads rather than tails 23 years ago, Rae Dunn might be manipulating colorful glass rather than tending to a kiln in her sunny ceramics studio in Berkeley, California. Because the public studio did not allow production work, Dunn made her early pieces in her kitchen, then drove them to a kiln to be fired. 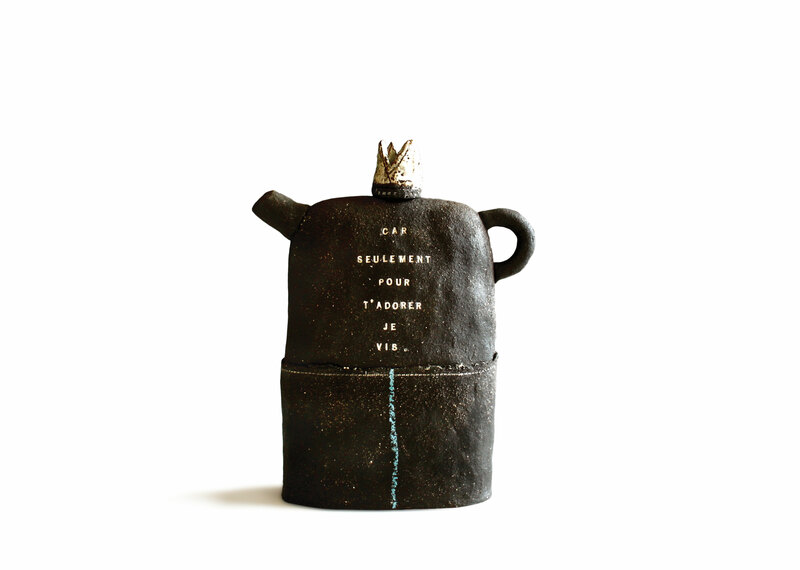 She worked continuously, not only making, glazing, and firing every object, but also seeing to the shipping and bookkeeping. 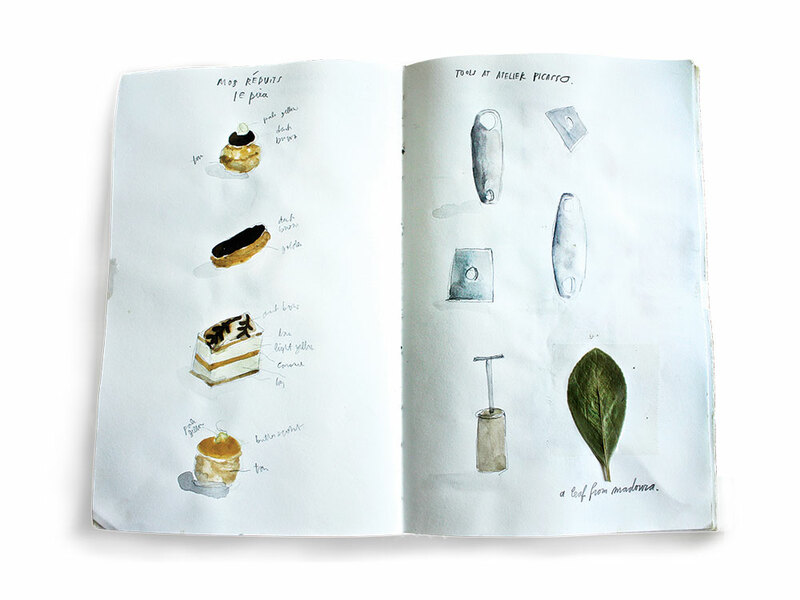 A prolific sketcher, Dunn also fills journals she dubs À la Minute (each sketch takes less than a minute) with scenes from her travels, be it that morning’s croissant or a striped beach umbrella. Although Dunn prefers working solo, she is never solitary. 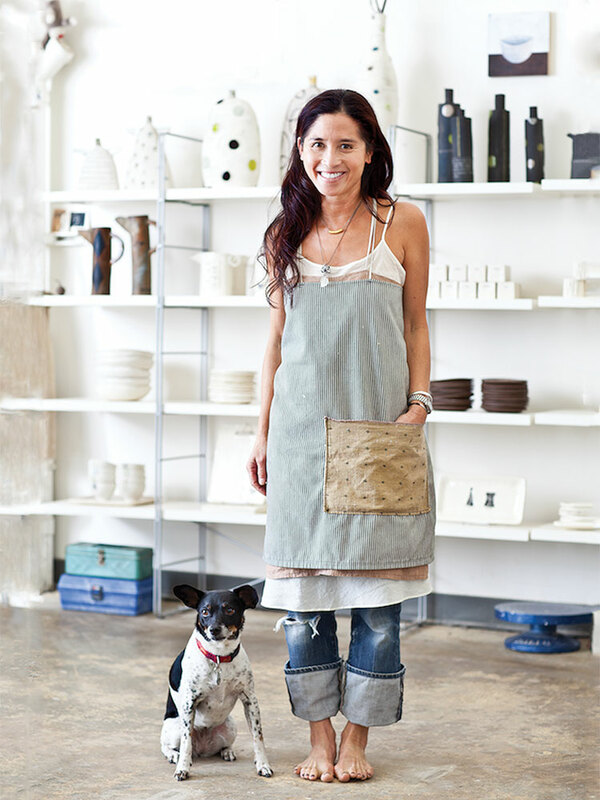 Following the sunbeams around her studio is Wilma, a Jack Russell terrier who is the subject of thousands of photos taken by Dunn and star of her own blog. “I’m no photographer, but people kept telling me that I should make a book about her,” says Dunn. 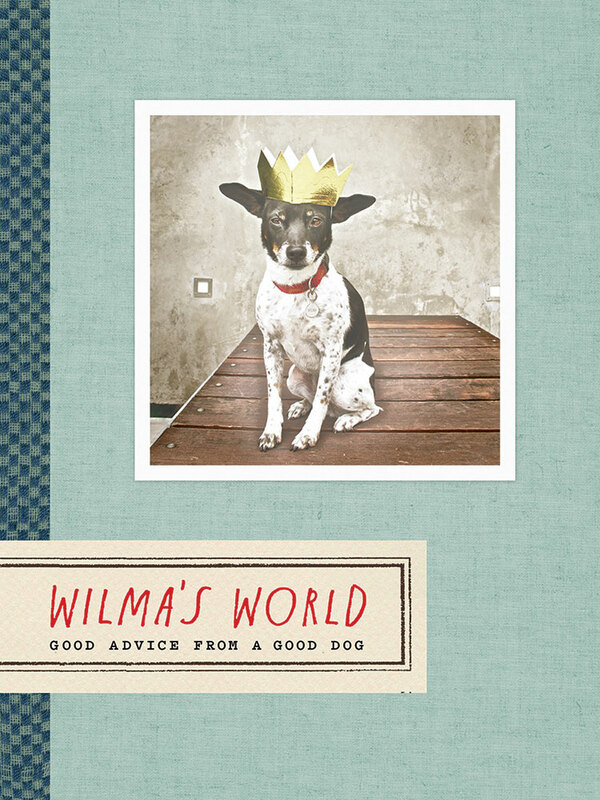 Wilma’s World, a collection of snapshots and captions devoted to the winsomeness of Wilma, was published by Chronicle Books in March. 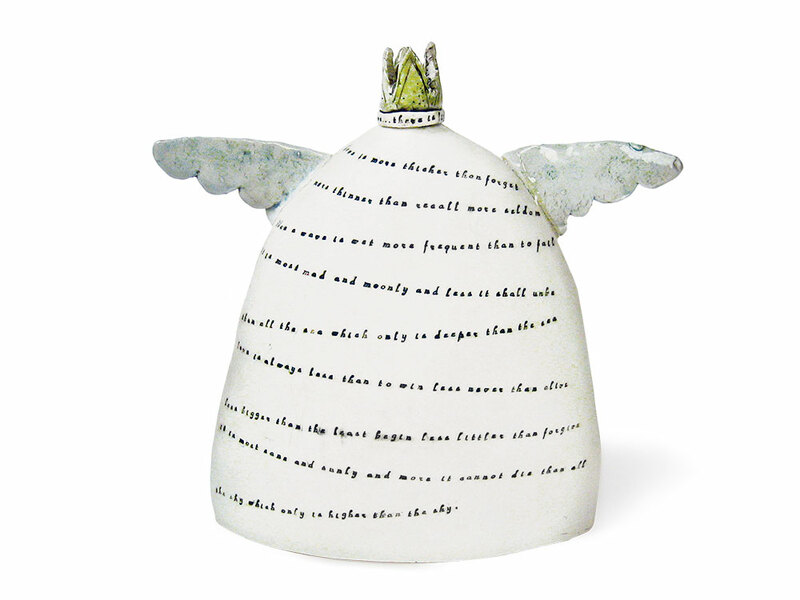 Dunn seems to make something graceful out of everything she touches, from a nearly translucent porcelain bowl piled with mandarins to her large acrylic paintings hanging on the studio’s brick walls. 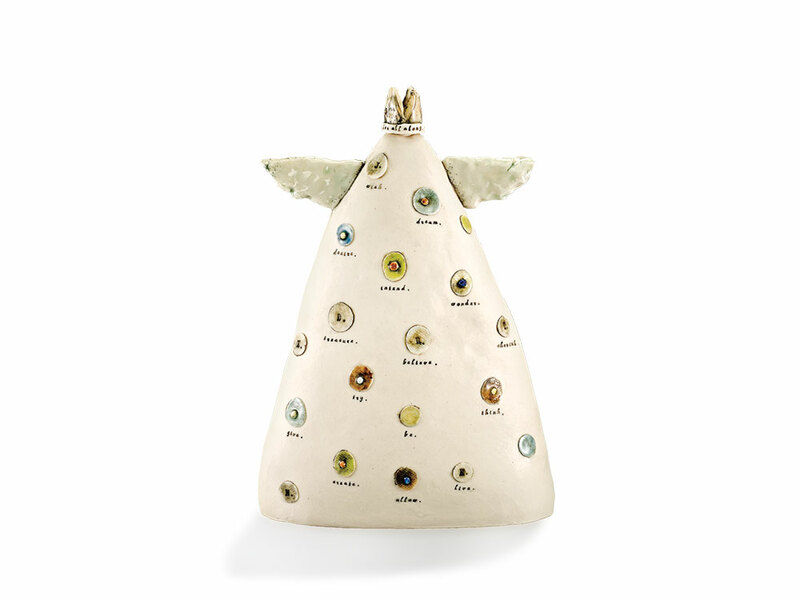 A few years ago she designed a line of children’s clothes using textiles derived from her French drawings. 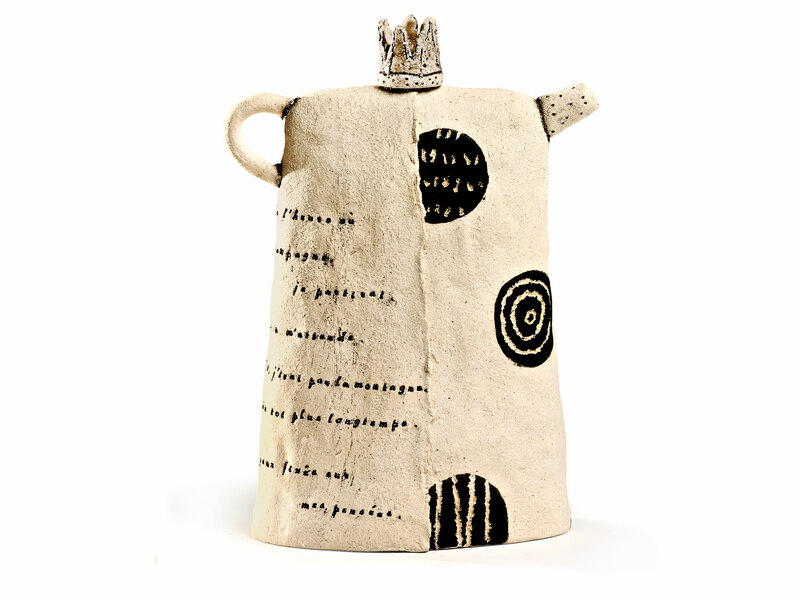 And although her dream is to create more “useless” objects – whose only mission is to be admired – for now, she continues to imbue even the most utilitarian object with an undeniable je ne sais quoi. Deborah Bishop is a writer and editor in San Francisco.